The main objective of this term paper is to identify and familiarize with the objectives of the organization, functions, performance and analyzed Management System of ICB in the capital market. Other objectives are find out the present condition of Bangladesh’s capital market and examine the operational procedure of ICB. Finally to go through all the department of the ICB and observe how the works are going on. To find out the present condition of Bangladesh’s capital market. To gather knowledge about ICB Unit found. To examine the operational procedure of ICB. To go through all the department of the ICB and observe how the works are going on. To relate theoretical knowledge with the practical experience. In preparing this report, We have carefully observed the entire department of ICB and got some information from the responsible officers at certain department. This study covered based on both primary and secondary data. Primary data– The primary data collected from face to face discussions with the help of the officials of various department of ICB. The investment corporation of Bangladesh (ICB) was established on 01 October 1976, under “The Investment Corporation of Bangladesh Ordinance, 1976” (no. XL of 1976). The establishment of ICB was a major step in a series of measures undertaken by the Government to accelerate the pace of industrialization and to develop a well-organized and vibrant capital market particularly securities market in Bangladesh. ICB caters to the need of institutional support to meet the equity gap of the companies. In view of the national policy of accelerating the rate of savings and investment to foster self-reliant economy, ICB assumes an indispensable and pivotal role. To arrange equity support and loans for projects singly or through consortium of financial institutions including banks. To inspire small and medium savers for investments in securities. To encourage more investment in agro-based and information & communication technology (ICT) sectors. Direct purchase of shares and debentures including placement and equity participation. Providing lease finance singly and through syndication. Managing existing mutual funds and unit funds. Managing portfolios of existing businesses. Providing advance against ICB unit and mutual fund certificates and ICB AMCL Unit Fund Certificates. To act as trustee and custodian. Participating in and financing of joint-venture companies. Providing investment counseling to investors. To supervise the activities of the subsidiary companies. ICB is authorized to act as an agent of the issuers and investors for private placement of securities. Under this arrangement, ICB places securities to individuals or institutions on behalf of the issuers for which it charges fees. ICB also acquires shares/securities for its own portfolio. To act as the custodian to the public issue of open-end & closed-end mutual funds, ICB provides professional services. It also acts as banker to the issues and provides similar services through the network of its branches. Fees in this regard are negotiable. ICB extends lease finance mainly for machinery, equipment and transport. ICB has the capacity to provide professional advice and financial assistance to the prospective clients. The period of lease, rentals, charges and other terms and conditions are determined on the basis of type of assets and the extent of assistance required by the applicants. As part of business diversification programme ICB has introduced “Consumer Credit Scheme” in 2003-04 meeting the needs of various household appliances of different professionals of govt., semi-govt., autonomous bodies and some established private sector organizations. Under this scheme one can enjoy minimum of Tk.1.0 lac but maximum of Tk.5.0 lac credit facilities. The rate of interest on the loan is reasonable and competitive. ICB has so far floated eight closed-end mutual funds. The aggregate size of these funds is Tk.17.75 crore. ICB mutual funds have become very popular with the investors due to payment of attractive dividends regularly. Investors show overwhelming interest in all the ICB mutual funds. One can invest in such funds through the stock exchanges with which these funds are listed. Through corporate restructuring, new mutual funds are now floated through “ICB Asset Management Company Ltd.” – a subsidiary of ICB. The investors’ scheme was launched in June, 1977. As per SEC rule, ICB grants margin loan facility at a maximum ratio of 1:1 with maximum loan limit of Tk.5.0 lac. To assist the investors to build diversified and balanced portfolio to minimize risk and earn a reasonable return, ICB provides professional advice and other support services. Under the restructuring programme, ICB operates and manages only the existing accounts while new accounts are opened and managed by the “ICB Capital Management Ltd.” – a subsidiary of ICB. ICB introduced Bank Guarantee Scheme in 2002-03. ICB provides (i) Bid bond for enabling the business people to participate in any tender or bidding; (ii) Performance bond for helping the business community to continue their business smoothly by fulfilling their obligations promised by them to their clients; (iii) Customs guarantee for solving different disagreements between the customs authority and the business classes at the initial stage. It is an open-end mutual fund scheme launched in April 1981, through which the small and medium savers get opportunity to invest their savings in a balanced and relatively low risk portfolio. Investments in units enjoy tax benefits, amount being applicable as per law. Companies willing to expand their business through mergers or acquisitions or to divest projects that no longer fit into present scale of operation contact the Corporation. ICB provides professional services and advice in respect of shaping up the cost and financial structures to ensure best possible operational results. Companies and government enterprises intending to go public often seek professional & financial advice on corporate restructuring & reengineering. ICB through its expertise provide such services. ICB is acting as trustee to the debenture issues and securitized bonds. Up to 30 June 2008 ICB acted as trustee to the debenture issues of 17 companies involving Tk.184.15 crore and issues of 7 bonds of 5 companies involving Tk.624.36 crore. ICB also under took the responsibilities of trustee to 8 mutual funds involving Tk.230.0 crore. It may be noted from the figure that under capital structure of ICB as on 30 June, 25% reserves were kept followed by 8% and 7% as reserve for stock dividend and paid-up capital. Market price of a share of ICB of Tk.100.0 each varied from lowest Tk. 400.0 to highest Tk.5098.0 on the stock exchange during the year. As on 30 June 2008, the market price of an ICB share was Tk.3751.75 on DSE and Tk.4323.0 on CSE. A total of 46106 shares were transferred during 2007-08 as against 626564 shares in 2006-07. The establishment of SADF was officially declared in a meeting of the member countries held in Dhaka in June 1996. SADF is an umbrella fund comprising three windows: Window-1 for Identification and Development of Projects; Window-2 for Institutional and Human Resource Development; Window-3 for Social and Infrastructural Development. ICB as the nodal DFI had represented Bangladesh in the governing board of SADF. Up to 30 June 2008, ten meetings of the governing board of SADF were held. The Managing Director of ICB performed the responsibilities of the first and last chairman of the governing board of SADF. To facilitate investments in SAARC member countries a development fund of US$ 200.0 million, namely, the South Asia Regional Fund (SARF) was launched in the Commonwealth Summit held in 1997. The objective of the fund is to achieve long term benefits through direct equity and equity related investments in private sectors companies of SAARC countries. ICB Unit Fund made an investment of US$ 1.0 million, equivalent to BDT 5.33 crore in SARF and in exchange, the SARF issued 1000 ordinary ‘A’ shares and 1000 “8% preference shares” in favor of ICB Unit Fund. 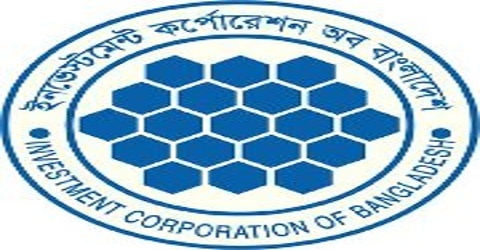 Investment Corporation of Bangladesh (ICB) was established in 1976with the objectives of accelerating industrialization and development of the country through development of capital market by mobilizing savings and encouraging and improving investment climate in the country with particular emphasis placed on broadening the base and scope of investments as well as tapping marginal investors. Keeping in line with these objectives, the ICB Unit Fund was established in April 1981, under Section 21 (2) of ICB Ordinance, 1976. The management of the Fund is vested with ICB. ICB Unit is an open-end Mutual Fund and share capital is not fixed like other companies or closed-end Funds like ICB Mutual Fund. The fund issues Unit Certificates freely on the basis of demand and fix the unit prices as and when deemed necessary considering the underlying value of its own assets. The factors responsible for fluctuations in the equated price of shares in the stock market are not applicable to the Unit Certificates. With the approval and co-operation of the Government, Investment Corporation of Bangladesh (ICB) launched ICB Unit Fund Scheme on 10 April, 1981. The scheme induces the small and medium savers to participate in the activities of industrial development of the country. Unit Fund is an open ended Mutual Fund. It provides an opportunity to the unit holders to invest their funds in a well managed and diversified portfolio with a high degree of security of capital and reasonable yearly returns. Investment in Unit Fund does not only contribute to the economic and industrial development of the country but also broaden the base of ownership in the securities. Its main objective is to mobilize savings through sale of its units to small investors and invest these funds in marketable securities so as to ensure maximum return for certificate holders. Thus, the scheme induces the small and medium savers to participate in the activities of industrial development of the country. Investment in Unit certificates is secured. Bank loans are available against pledge of Units. It offers attractive regular return or income. Investment allowance for Income Tax is available. Dividend income is tax exempted. With the approval of Govt. ICB launched this scheme in April 1981. Through this the small and medium savers get opportunity to invest their savings in a balanced and relevantly low risk portfolio. One can buy maximum 10,000 Units in his/her own or joint name. Units are not sold to institutions. Transaction of Units takes place on every working day on the counters of designated banks and ICB local office. Transactions remain suspended during the month of July every year for book closure and dividend declaration. In lieu of cash dividend one can reinvest his/her dividend income under CIP (Cumulative Investment Plan) to purchase additional Units with a price rebate. Investment in Units enjoys tax benefit for being amount applicable as per law. Fund share holdings shall be registered in the same of the corporation on behalf of the Unit Fund with respective companies whose shares are so acquired. The Fund share holdings shall be retained and held by the Corporation for the benefit of Unit Fund certificate holders subject to the Provision of the Articles of Associations of the respective companies. The Corporation will collect al dividends and other income in respect of the Fund shareholdings and deal with and act in respect of the Fund shareholdings as shareholders of the companies without reference to title Certificate holders. The corporation will provide necessary staff for management and administration of Unit Fund and realize the expenditure incurs therefore provided, however, such expenditure should not be added to the price of the Unit Certificate exceeding five percent of the total sale price while determining the price of the Unit Certificate. The Corporation shall keep separate books of account relating to the income and expenditure of and connected with the Unit Fund. The said books of account shall be opened to inspection only by the Directors of the Corporation and the Corporation shall not be accountable to any one expect to its Board of Directors in respect of the income and expenditure relating to any Unit Fund. The accounting records of the Unit Fund will be kept on the basis of the accounting period ending of the last day of June in each year. At least one in every year the accounting records of the Unit Fund will be audited by the Auditors. The fees of the auditors will be charged against and payable out of the income of the said Fund. The Corporation shall be absolutely protected in retrying on and shall act upon all audited statement. The profits if any, available in respect of the Unit Fund at the end of accounting period will be distributed to the registered Certificate holders in proportion to the number of Certificate held by them on the accounting date. The amount available for distribution in respect of any accounting period shall be assessed by deducting the management and administration charges from the total income received by the Corporation in the accounting period by way of interest, dividend and other receipts and after making such adjustments as the Corporation may think it. Bonus shares and right shares acquitted in respect of Fund shareholding may be added to the portfolio of the Unit Fund or in the discretion of the Corporation may be sold and its proceeds added to the income of the said Fund. The Corporation shall be to do all other acts, that with the opinion of the Board may be necessary to promote the interest of the Certificate holders and that may be necessary in view of the capital market and the investment climate in Bangladesh and wanted by commercial considerations. In terms of power conferred in the ICB Ordinance, under the Capital Market Development Program initiated by the Govt. of Bangladesh and the Asian Development Bank, ICB Asset Management Company Ltd.- a subsidiary of ICB has been formed which started its functions from 1 July 2002. Subsequently ICB stopped selling of Unit certificates (except under CIP) from the same date. During 2007-08, 1910998 Units of Tk.20.45 crore were issued under the Cumulative Investment Plan (CIP) while 2526117 Units of Tk.29.56 crore were repurchased. It may be observed from the table that under CIP the highest 81.25 percent units were issued through the offices of ICB followed by 7.42 percent and 4.10 percent through IFIC Bank Ltd and Sonali Bank Ltd respectively. ICB Units are issued as registered which can be bought and sold by Govt. recognized charitable institutions only 10,000 certificates. The Corporation has the right to restrict the acquisition by a person of the units over and above certain numbers from time to time. Units may be offered for sale to institutions if the Board may approve. Unit certificates can be bought from the local office of ICB, approved branches of different commercial banks in Dhaka and other districts. ICB Units are available in 1, 5, 10, 50, 100, 250, 500, 1000 and 5000 denominations and issued at the discretion of a buyer at the time of acquisition. Every holder shall be entitled to exchange any of his certificates for one or new certificates of such denominations as he may require for the aggregate number of his units against payment of prescribed fee. The Units can be sold back (ICB Unit Fund) of its repurchase price. Only the issuing office of ICB or banks can repurchase the units at the prevailing repurchase price. The Unit is regarded as an approved security for investment and is entitled to investment allowance under Income Tax Act. The Corporation may issue new certificates in case of lost, stolen or destroyed ones upon satisfactory proof against payment of prescribed fees. In case of the death of any one of the Joint holders of Unit certificates, the survivor or surveyors shall be recognized by the Corporation as having the title of ownership in these units. In case of an individual holder’s death, his successors shall be recognized by the Corporation. They must produce a succession certificate issued by a court as having the title to the units. The books of account of fund remain closed during the month of July every year. Sale and repurchase of Units remain suspended in all the offices of ICB and authorized bank branches. The income derived from management of the Fund and capital appreciations from its operations are determined on the basis of audited accounts as on 30 June each year. The annual dividend is declared by the Fund in July and all holders of units are entitled to get full amount of dividend whose names appeared in register as on the ending date, irrespective of their purchase date. Fresh Units can be obtained at confessional rate 1 (one) taka per Unit less on the opening sale price by the existing Unit holders through option for reinvestment of their dividend income under Cumulative Investment Plan (CIP).No limit of sale/holding of Unit certificates are applicable to those under CIP scheme. The opening sale and repurchase price of Units are refined after declaration of dividend which comes into effect from 1 August each year. The names with addresses of the holders are recorded and dividends are dispatched to them accorded and dividends are dispatched to them accordingly. Units may be transferred through prescribed transfer form duly filled in and signed by the transferor and transferee. No stamp duty is required for such transfers. Units may be encased by way of surrendering the certificates along with the prescribed surrender forms duly filled in and signed by the registered holders and no prior notice is required. The certificates are required to be surrendered at the prevailing Repurchase Price. Units are issued as registered certificates. An existing Unit holder is required to mention the previous registration number on the specified column of the Application Form when he/she intends to buy Units again. More than one registration number is not issued to the same unit holder. Changes in repurchase prices of units are notified through the newspapers and price of a Unit is fixed periodically by ICB as its fund manager. Among others, valuation of the assets of the Fund is taken into consideration while fixing price of a unit. The Fund is divided into units which are generally known as “ICB Unit”. Each Unit bears a certain value in the assets of the Fund. The Unit holders are the owners of the fund and only they are benefited from it. Unit certificates can be purchased in single or joint name (s). At present maximum of 10,000 Units can be purchased in a single or joint name(S) at a time. Units are not sold to institutions. Professional Counseling is rendered to the prospective & existing investors who are eager to purchase ICB Units through ICB offices and authorized Bank branches. Presently this scheme is operated by ICB Asset Management Company Limited. The responsibility of managing the fund rests on ICB for which management fee @ Tk. 1.25 per Unit (net outstanding) is charged. The Corporation also discharges the responsibility of loading and unloading of securities in and from the portfolio in the interest of the Unit holders. It is also the custodian of all assets of the fund. Any Bangladeshi adult citizen of sound mind can invest in this Fund. No organizations other than Charitable Institutions and Provident Fund Trust can invest in this fund. (III) The investors must mention their local and bank addresses in Bangladesh for convenience of registration of Units. The foreign nationals residing in Bangladesh may also invest in Unit Certificates, provided they produce certificates to the effect that money being invested are their own savings and is not borrowed as loan or overdraft from any bank. These certificates are to be collected from a Gazetted Officer or a Banker not below the rank or Deputy General Manager. (I) Investment in Units enjoys the benefit of Investment Allowance under Sec. 44 (2) of the Income Tax Ordinance, 1984. (II) Units are treated as approved securities in accordance with the Section 2993 of the Companies Act, 1994 and Insurance Act, 1938. These are also treated as Securities as per Sec. 20 of the Trust Act, 1882. (III) Dividend received on investment in the Fund is treated as dividend income under Income Tax Ordinance and is exempted from tax up to Tk.25000 as specified in the Ordinance. Under this scheme a holder instead of receiving dividend may reinvest such dividend income accrued for purchasing Unit at a concessional rate. In such case, Units are issued at Tk. 1.00 less than the opening price of the financial year. Incase dividend warrants are not received in time, it should be communicated to ICB head office immediately. Duplicate warrants are issued subject to completion of required formalities and execution of an Indemnity Bond on non-judicial stamp as applicable. Unit holders should immediately communicate any charge of address to the issuing offices so that no problem arises in dispatching dividends and surrendering the certificates. Transactions are held during banking hours every day excepting Thursday and holidays. Transactions do not take place during the month of July each year due to book-closure. Units are purchased at ICB Head Office and at its Branches at Dhaka, Chittagong, Rajshahi, Khulna, Sylhet, Barisal and Bogra. Fifty seven branches of Sonali Bank, Agrani Bank, Janata Bank, Rupali Bank Ltd., Uttara Bank Ltd., Pubali Bank Ltd., IFIC Bank Ltd., Bangladesh Krishi Bank, Prime Bank Ltd., Dhaka Bank Ltd., Bangladesh Shipla Rin Shangstha, United Commercial Bank Ltd., The City Bank Ltd., and Eastern Bank Ltd. locate at important cities all over the country, are also engaged in selling and repurchasing of unit certificates. The net income earned on investment of the Fund on account of dividend, interest, capital gain etc. are distributed among the certificate holders as per provision of the Securities and Exchange Commission’s relevant rules. Dividend is usually declared at the end of July each year and is distributed within shortest possible time but not later than 45 days of declaration of dividend. It may be noted from the above table that out of the total Unit holders as on 30 June 2010, public and private sector employees accounted for maximum of 55.80 percent who are mainly of small and medium size income group. It reflects that the Unit Fund has succeeded in attracting small and medium size savers. During 2007-08, a total of 2526117 units of Tk. 29.56 crore were repurchased and1910998 units of Tk. 20.45 crore were issued under CIP. As on 30 June 2008, net units stood at 39008365 of Tk. 445.14 crore. In 2007-08 the Fund earned an amount of Tk.30.13 crore as dividend from 120 companies and interest on debenture securities of Tk.2.89 crore from 7 companies resulting in total dividend and interest income of Tk.33.02 crore of which 61.99 per cent i.e. Tk.20.47 crore was received in cash. The total dividend and interest income during 2006-07 was Tk.24.05 crore. In 2007-08 the fund earned Tk.6.55 crore as interest on bank deposits which wasTk.0.27 crore in 2006-07. In 2007-08, the fund earned Tk.0.76 crore as premium on total issued Units as against Tk.0.71 crore in 2006-07. As on 30 June 2008 the net investment of the Fund stood at Tk.563.39 crore in 302 securities, the market value of which was Tk.1053.96 crore. The ex-dividend Net Asset Value was Tk.277.90 per Unit as on 30 June 2008. The following table shows a summarized position of investment as on 30 June 2008. The Board of Directors of ICB declared dividend at the rate of 20.00 per unit involving Tk. 78.02 crore for 2007-08 in the meeting held on 30 July 2008. The unit holders whose names appeared in the register on 30 June 2008 were entitled to this dividend. The rest amount of Tk. 69.48 crore would be retained in the fund’s account. The following table shows dividend performance and dividend yield of the Fund for the period from 1997-98 to 2007-08. During the year 2008-09, the Fund earned a total income of Tk. 342.18 crore by way of dividend, interest on debenture securities, capital gains, interest on bank deposits, premium on issue of units and others. After deducting the total expenses of Tk.231.01 crore on account of management fee, interest on current account with ICB, commission and brokerage, printing and stationery, postage, Bank charges, provision against investments and others the fund had a net income of Tk. 111.17 crore. Together with the previous year’s undistributed income of Tk.36.32 crore, the Fund had a net distributable income of Tk.147.50 crore. The distributable income per certificate stood at Tk.37.81. The Fund had 39008365 Units outstanding as on 30 June 2010. Unit Funds are managed and run by a professional management team of ICB. The success and growth of the unit fund depends on future profitability and investor’s confidence also depends on the management performance. No Specific Rules Regarding Reserve: Reserve is an important part of any business. For the fund, reserve is kept for the future uncertainty, funds liquidation and for buying securities without borrowing costly capital. Reserve is kept from income as un-distributable income. There is no specific rule regarding reserve policy in ‘Securities and Exchange Commission (Mutual Fund) Rules 2001’ for the open-end mutual fund which gives ICB an opportunity to keep huge amount of reserve from the unit funds. Stop of Selling New Unit Certificate: Under the Capital Market Development Programme initiated by the Govt. of Bangladesh and the Asian Development Bank, ICB stopped selling of new Unit Certificates from 1 July, 2002. Stop of selling new unit certificates to investors was incorrect decision, because when ICB took this decision it losses huge amount of money from sales receipts. The Dividend Policy of Unit Fund is Not Fair: There is no accurate guideline regarding dividend policy of unit fund of ICB. Except this year compare to earnings of the fund of previous years the rate of dividend is much lower to the investors. Using of Costly Borrowing Capital: ICB unit fund uses costly borrowing capital from others financial institutions which ranges from 12% to 15% for the investment on different securities. It is another factor causing problem for high expenditure of maintenance of funds, which affects the income of the funds. Portfolio Selection: The selection of portfolio for unit funds to invest is always not perfect. For this reason investors are not satisfied with their dividend rate which shows that management is inefficient to select efficient portfolio. Bureaucracy: In case of an individual holder’s death, it takes long time to transfer his/her units to his/her successors. Lack of Motivation and Team Speed: There is lack of motivation and team speed among employees of the Unit Repurchase Department. Lack of Updated Technology: This is the age of information technology but the department has only few numbers of computers. Reserve should be kept at a minimum level but not more than 25% of a Fund’s income. ICB should issue its new unit certificates which could increase the source of income of unit funds as well as performance of unit funds. Dividend policy should be earnings basis, not yearly basis. The regulation should be strong and given high importance on the operations of the Unit Fund. The performance of management team should be improved. That’s why; ICB should arrange Professional Bank Management Course for their employees. Investing by costly borrowing funds should be reduced from 8% to 10%. Orders of Unit holders should be executed quickly possibly within 1 month. Unnecessary documentation and levels in the process of withdraw and transfer of units should be eliminated. The functions of Unit Repurchase Department should be more customers oriented. Bureaucracy should be eliminated to ensure ‘Total Customer Satisfaction’. ICB should open counseling program regarding its unit fund for their existing unit holders and future unit holders who want to invest in unit fund. Unit fund should increase its investment in no. of securities in SARF by 10% in foreign currency. ICB is a unique name in our country as an Investment Bank. It has skill and experienced labor force and professional and dedicated management team that enable to pursue the ICB’s goals and objectives. ICB is helping to the industrial growth in our country by mobilizing the small savings from investors to the capital market. ICB should be concerned about its investors, because the investors are less risk takers. ICB has great influence in the capital market. ICB should play its important role for the gaining of the investor’s confidence on the capital market and further industrial growth in our country and the development and stabilization of the capital market in the country. To conclude this report it can be said that it was a great opportunity for us to study the operational activities of the biggest investment bank as well as merchant bank in Bangladesh. We have learned a lot about investment and the capital market of the country. The establishment of ICB was a major step in a series of measures undertaken by the Government to accelerate the pace of industrialization and to develop a well-organized and vibrant capital market particularly securities market in Bangladesh. In a broader sense ICB is both Investment Bank and Development Financial Institution (DFI). The report is the first time for us to get the opportunity for conducting such and elaborate study in a different field. Hence, we do not know how far we are successful in writing this report. But it is true; we have tried sincerely to perform our duties with zeal and enthusiasm and to the best of our satisfaction. However, we express our deepest regret for any error or omission which may have happened unwillingly.